This may well be the perfect leather extra-capacity photo album. 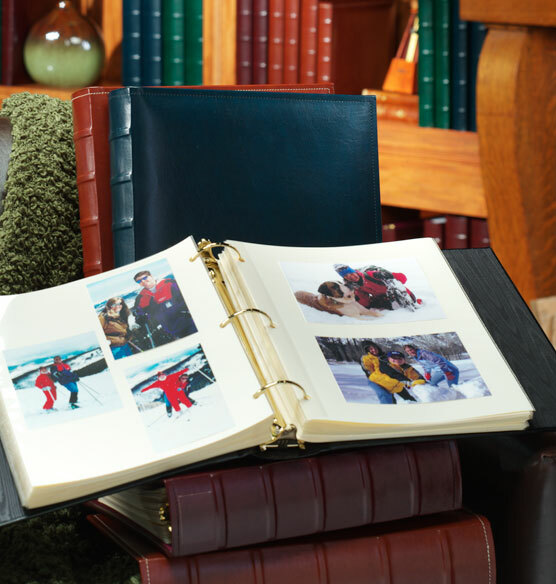 Charter extra-capacity photo album's classic styling ensures your photos stand out against the bonded-leather cover and matching moirè lining. Stitching around the edges and raised spine detailing are the finishing touches. This album is a great choice for photo collections featuring generations of family members or make it a "through the years" album for all those precious school year photos. 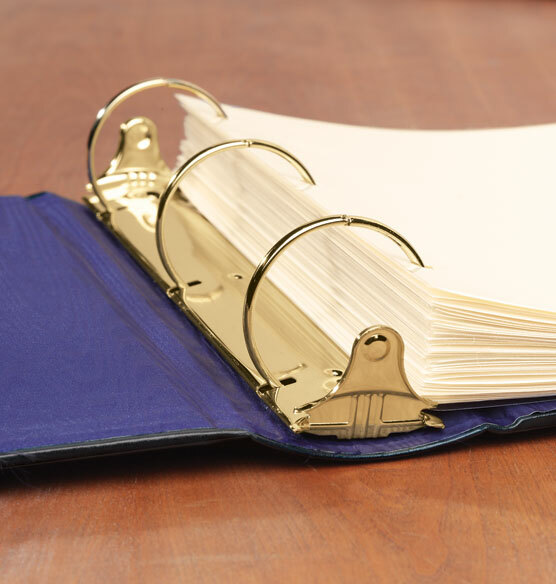 Extra spine width accommodates extra photo pages, and sturdy metal rings help keep pages firmly in place. 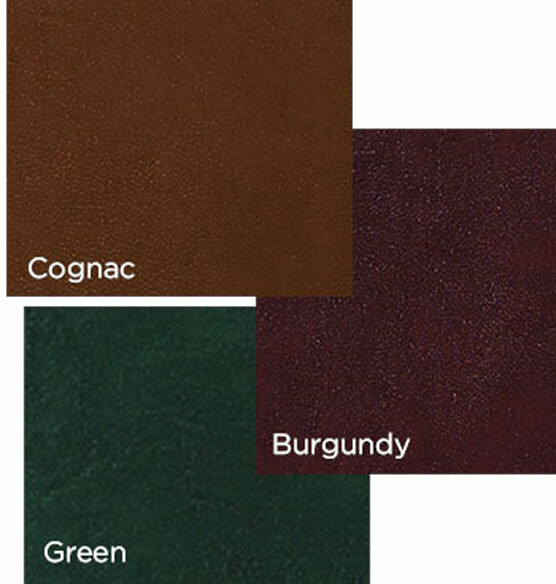 Choose classic colors of black, green, navy, cognac or burgundy. I bought these since the Florentine ones were discontinued much to my dismay. I have bookcases full of the Florentine and these are just ho-hum alongside the others. They "do the job" but that's about it. I ordered the Charter after I returned the Shelborne that I did not like at all. I was trying to match my large collection of Florentine navy albums. Although the Charter is better than the Shelborne,it does not match the quality of the Florentine and what I assumed all Exposure albums were like. 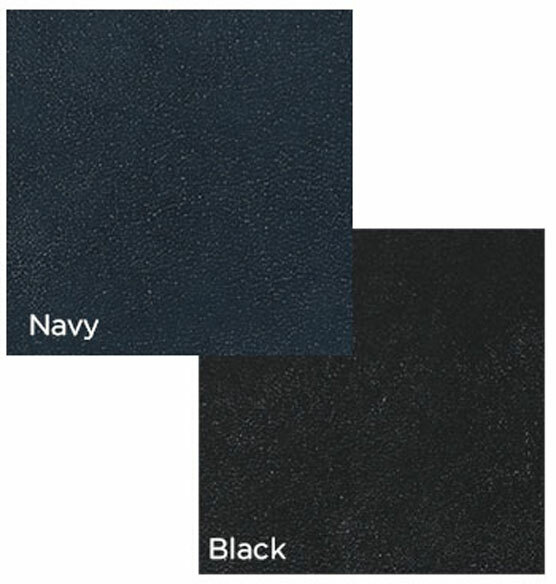 The navy color was quite faded out compared to the nice navy color of the Florentine. And why do almost all of the albums have to have the ugly "raised spine details"? The Florentine was a quality album at a more reasonable price, and no ugly spine details. I have been unable to find any Exposures album that I like for several years now. Much prefer the simpler design of the Florentine, without the raised spine or ornate border. Love the look of the album - looks like very expensive leather. I take a lot of pictures and have been buying them for years. I have purchased other albums like these and am happy with the quality. one of many I have ordered and used that makes 33 of them since 1995 !!!! I have 12 of these already, adding to my library. match earlier purchases from several years ago. I've ordered these scrapbooks for years and have found them highly satisfactory. The green Color is less drab than most options in large capacity albums, and the luxe moire lining is my preferred inside liner. They are the best for momentos, photos, illustrations, drawings ...real life story books!!!! I needed the largest album I could find. This one works great. Our family loves the Charter regular and extra capacity albums. We have over 25---one for each year of our marriage. Capturing memories for a lifetime. Nice looking and easy to use! I found 40+ leftover ring-bound album Exposures pages that I need to use in something nice that will fit them. I'd have preferred the old Florentine album like many others who reviewed this, but since there was a sale/free shipping, I figured I'd get save it for the next big trip or family event. This is a very nice album- it will hols a lot of sheets. I bought to store all basketball articles and pictures from my son's basketball games. I needed a large capacity binder since I just ran out of space in my most recent photo binder. I already have about 40 pages that will fit this particular binder....The last 6 photo binders that I bought online were from Exposures, the most recent about 5 years ago.. This is the second Charter album I have ordered. I really liked the first one and used it like a scrapbook for photos, memorabilia, etc. The quality is good and the burgundy color is quite nice. seemed like a good, basic, high quality photo album. Have used this album for years. Holds up well and still like it very much. Good quality, sturdy and attractive. 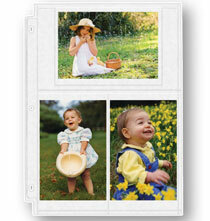 The photo pages that fit these albums are sturdy and very easy to use. They make an attractive album. I needed a large capacity album. I didn't want to buy two smaller albums which would be more expensive. I have photos for each child from birth through college. Lots of photos. I have put together photo albums for years and these are by far and away the best. They are of a quality and sze i have never been able to find in a store. Ijust wish I could choose the free pages myself, like I used to be able to. It’s what I needed for my project. Quit asking me questions! I've used these photo albums for a number of years and find that they provide me with flexibility to include not only photos, but also paper records of my travels. They are great looking and well-made. 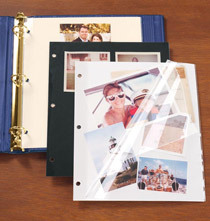 Looked most similar to older Exposures ring binders I purchased years ago to do photo albums/scrapbooks for my 3 boys. The 2 I originally bought each boy are bursting at the seams and I am only beginning their HS years. I needed one more for each to complete their memories! I have many albums that I've purchased from Exposures over the years and have always been pleased with the products. I wanted a classic look for my husband's papers, news articles, etc., that would work well with the other albums and yet stand apart from them. Good quality. Adding to current set. Substantial and good-looking - I have 15 of them! have a lot of photos to include. Looks like it would be big enough and possible to add photos at a later date as well. I use these albums for family photos. Typically I use two a year and I get spring patches to indicate the year. That way, I can quickly find photos that I am looking for. excellent album that looks beautiful on the shelf. I have 15 years worth lined up! Exposures' Charter Spine Patch Labels are really well-down and provide a professional look to my photo albums that allows me to see at a glance what each album contains. They match my albums perfectly. It matches the other photo albums that we have. I am making a replica Book of Shadows from the TV show Charmed and this album will be perfect for it! I can't wait to receive it! what size is this album photo pockets? BEST ANSWER: Thank you for your question. The pages are sold separately and will range in size depending on the style you are looking at. We hope this information will be help to you. How many photos can the album hold? BEST ANSWER: I have 125 pages in my album . 100 of those pages have photos in them. I have half of them 8x10 photos and half 5x7's. It's going to be full when it is filled . I'm getting ready to order another album just like this one for my granddaughter. I love this album. Thank you for your question. 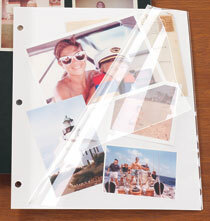 How many photos the album will hold will depend on what pages are used. The album can hold 60-70 pages. We hope this information will be of help to you. I have 64 pages in one of mine and it is almost, but not quite, filled. The no. of photos it will hold will depend on the number of photos each page will hold. Using the Exposure photo pages (with photos on both sides), I can get up to 45 pages maximum (90 sides) in each of my albums. BEST ANSWER: The spine measures 2 7/8". With the front and back covers at a 90 degree angle to the spine, and after subtracting the thickness of the covers, there is about 2 1/4" of space remaining for pages. The depth is 3 1/8 inches if you are asking about the breadth of th spine. The cover is approximately 11" square. the book is about 11 1/2 " tall and wide and the spine is about 2 3/4"
Can the cover be embossed? BEST ANSWER: Thank you for your question. We do offer a personalized charter extra capacity album on our website and it can be found by searching for item number 327502. We hope this information will be of help to you. I believe that there are two ways to order the album. One is without embossing and the other is with embossing. The embossed album is more money. Exposures calls these albums Personalized. What is the size of these rings? Thank you. BEST ANSWER: When the rings are closed, from one side to the other, it is 2 1/4 inches on the outside and 2 1/8 if measuring from the inside of the ring. The rings measure 2" in diameter. Hope that helps! what are the demensions of album 344193? 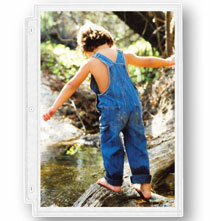 BEST ANSWER: The Charter Extra Capacity album is 11.5" tall, 12" wide, and 2.75" deep. I have about 15 of these albums and have been very happy with them. Width of spine is 2 3/4 inches, from top to bottom is 11 1/2 inches, and from depth is 11 3/4 inches. It says free pages included..what kind of pages are included with this album? can I order a spine patch for the Charter oversize extra capacity line? BEST ANSWER: Thank you for your question. Unfortunately the spine patches are discontinued with the vendor who make the albums and the Charter is no longer available. We hope this information will be of help to you. What size paper does this album hold? And can it be personalized with 2 lines? BEST ANSWER: Thank you for your question. This album will hold any three ringed sized photo page. We hope this information will be of help to you. Do you still have an album that opened like a book into 3 sections for 4x6 photos that went into sleeves in vertical rows? BEST ANSWER: Thank you for your question. Unfortunately no, we do not carry that item. We hope this information will be of help to you. I need a ring album 12X 12 because i have already ordered the inserts and then received notice the album was discontinued? Can I use the 12x11 and 1/2 with those inserts? BEST ANSWER: Thank you for your question. This album is will not fit 12" x 12" pages. You will need to order the 12" x 12" album for the pages to fit. We hope this information will be of help to you.